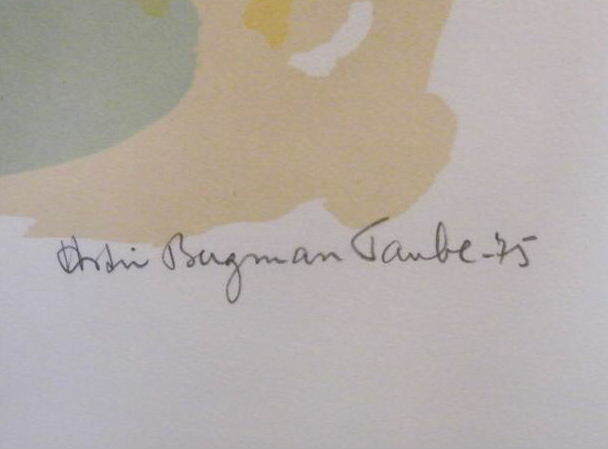 Astri Bergman Taube(1898-1981) was married to Evert Taube. Evert Taube is one of Swedens most famous lyric and song writer ever. 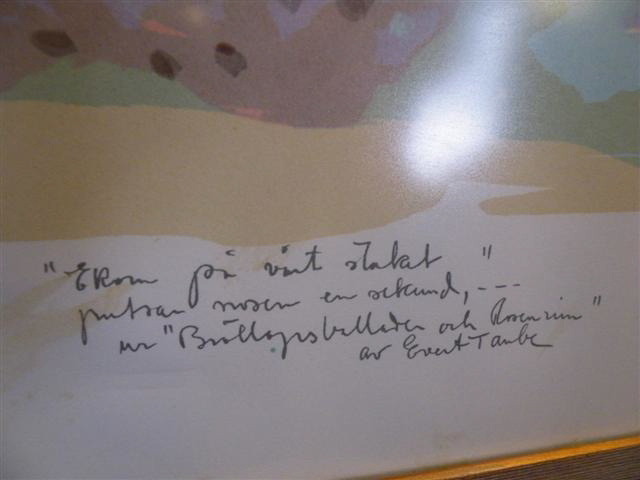 His wife Astri Bergman Taube was a prominent artist with great artistic abilities. Not until the age of 78 she got the chance to work full time as an artist according to a new book about her, see more below. 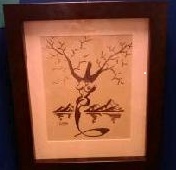 This is a signed and numbered lithography from 1975. -See also the verse written by Evert Taube which is also signed: by Evert Taube. Breaking copyright laws can lead to imprisonment and very high fines. The preface is written by Silvia Queen of Sweden! Education by Carl Milles in Sweden, by Antoine Bourdelle in Frankrike. She also studied in Rom, Florens, Neapel and in the Swedish Academy of Arts. Public works: Among others the statue Elsa Borg in Vitabergsparken in Stockholm, the beautiful cealing in the folk opera house in Stockholm. Representation: The Modern museum of arts in Stockholm. Exhibitions: Among others Gummesons Fine Art in Stockholm, over the whole world ever sinsce the 1920ths. 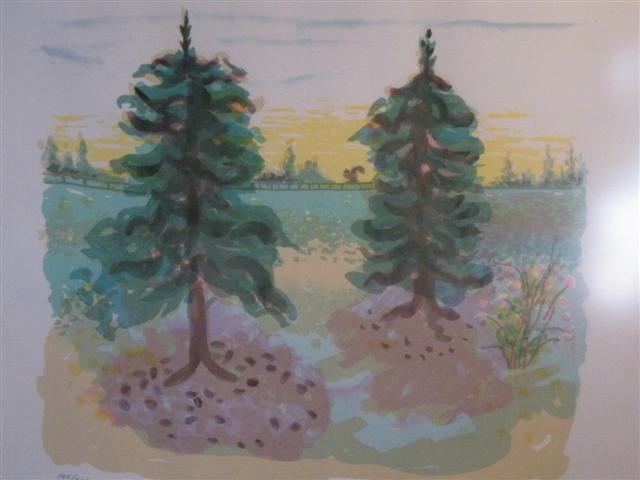 Astri Bergman Taube worked in water colour, clay and tin.